NO: We will not nuke hurricanes. And a US weather agency has responded to public pressure by explaining why. The National Oceanic and Atmospheric Administration (NOAA) has led its Hurricane Research Division's frequently asked questions page with an extraordinary - even for America - statement: "During each hurricane season, there always appear suggestions that one should simply use nuclear weapons to try and destroy the storms." Put nuclear winter aside for a moment. And even the political - and radioactive - fallout. NOAA's carefully worded response gives a more practical analysis. 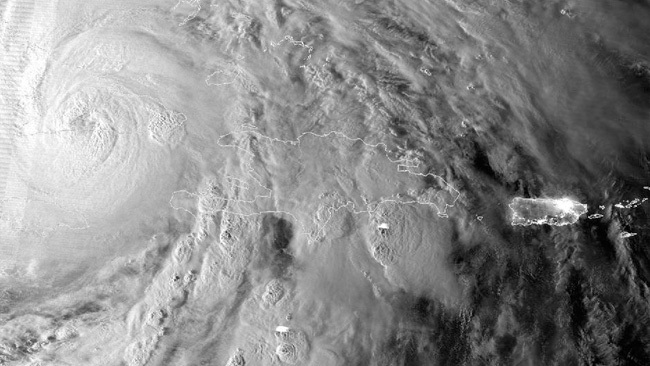 There are roughly 80 storms each year that have the potential to grow into full hurricanes. 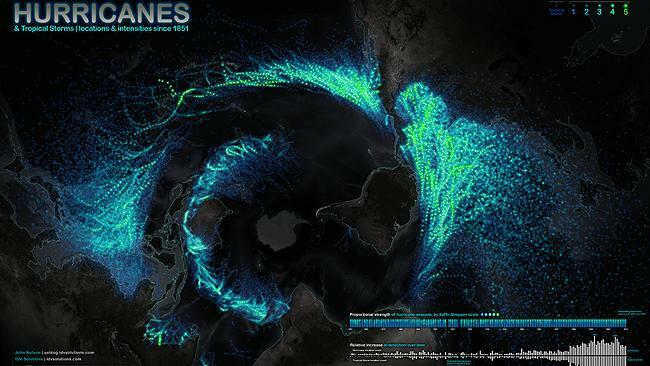 The above image shows the track of all hurricanes since 1851. Meteorologist Chris Landsea attempts to put the task into perspective. First up: don't think the shockwave will have any effect, as it does in the movies. "Such an event doesn't raise the barometric pressure after the shock has passed because barometric pressure in the atmosphere reflects the weight of the air above the ground," he writes. "To change a Category 5 hurricane into a Category 2 hurricane you would have to add about a half ton of air for each square meter inside the eye, or a total of a bit more than half a billion (500,000,000) tons for a 20 km radius eye. It's difficult to envision a practical way of moving that much air around." And while we're on the subject of size. To produce energy equivalent to a hurricane would involve a 10-megaton device exploding every 20 minutes. "The main difficulty with using explosives to modify hurricanes is the amount of energy required," he writes. "A fully developed hurricane can release heat energy at a rate of 5 to 20x1013 watts and converts less than 10 per cent of the heat into the mechanical energy of the wind. 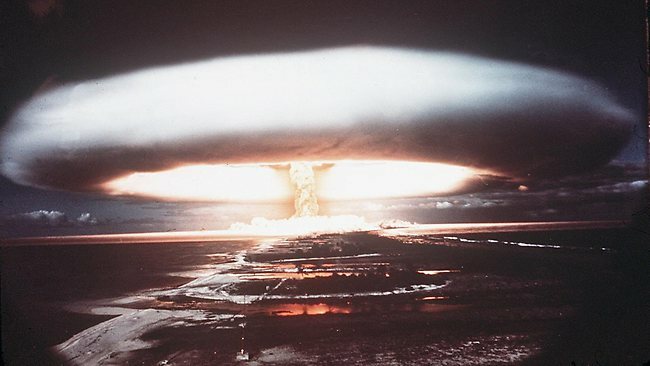 The heat release is equivalent to a 10-megaton nuclear bomb exploding every 20 minutes." Have a headache yet? We know why. He goes on to say the scale of energy needed isn't the only problem. It is directing and focusing that energy. What about nuking them while they're still little? Landsea pours cold water on that idea, also, by pointing out that about 80 tropical depressions form each year - but only five become hurricanes. "There is no way to tell in advance which ones will develop." It's back to the drawing board for armchair meteoro-maniacs.